The paradigm for what constitutes "beauty" in the fashion world is slowly shifting. Models like Winnie Harlow, Sophia Hadjipanteli, and Diandra Forrest pride themselves on looking different. Nyle DiMarco and Jamie Brewer are calling for increased deaf and Down syndrome representation, respectively. The beauty paradigm in the fashion world is slowly, but surely, shifting. This year, Rihanna's Savage x Fenty fashion show showcased a variety of body types, as more and more designers are choosing to highlight uniqueness over conformity. 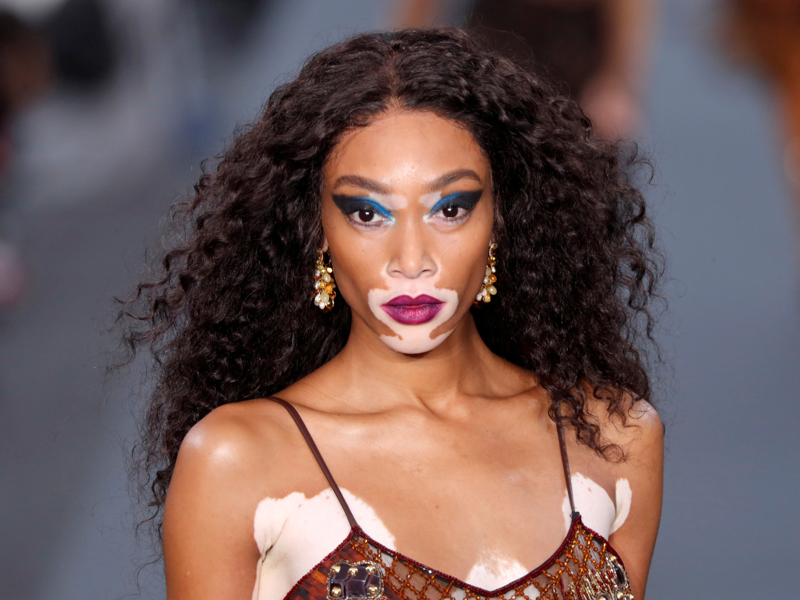 Models like Winnie Harlow and Diandra Forrest are shedding light on (and erasing stigma from) their respective skin conditions. Others, like Nyle DiMarco, who's deaf, and Jamie Brewer, who has Down syndrome, are inspiring people around the world. Keep scrolling to learn more about 10 models who are breaking barriers in the fashion world. Model Vivian Eyo-Ephraim is advocating for more representation. Nigerian model Vivian Eyo-Ephraim went viral in April 2018 for her ASOS campaign. The 20-year-old model (and student at the University of East London) gained worldwide exposure after appearing in a swimsuit campaign for the British clothing brand. Twitter and Instagram showed an outpouring of support, and Eyo-Ephraim spoke on the reaction to her campaign to Refinery29 saying, "I had no idea it would go viral, but I'm so grateful and excited that so many people all over the world are supporting me. I hope the industry sees this and makes a more positive direction in terms of inclusiveness for plus and curve models." 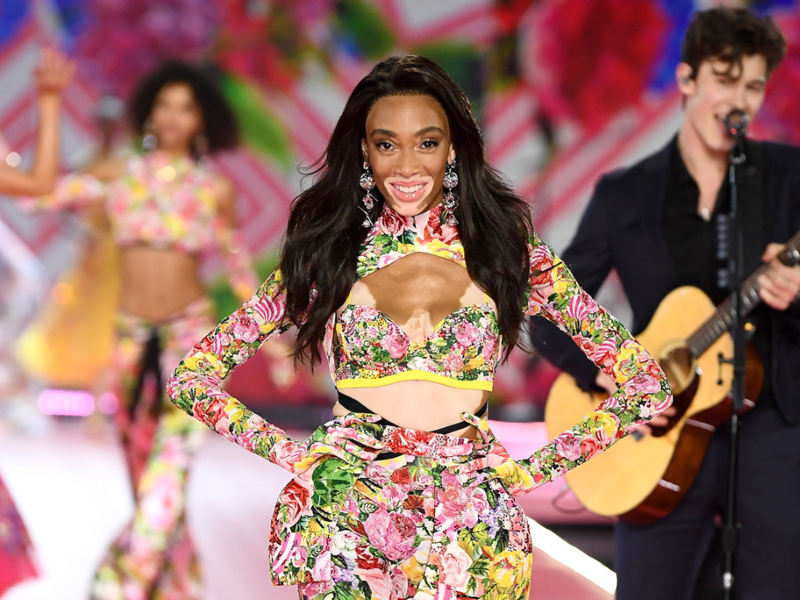 Supermodel Winnie Harlow was the first model with vitiligo to walk in the Victoria's Secret Fashion Show. Supermodel Winnie Harlow has a skin condition called vitiligo, which causes the loss of skin color and pigmentation in patches. She did not let it stop her from pursuing her dream, competing on "America's Next Top Model" and becoming the first model with vitiligo to walk the Victoria's Secret runway in 2018. Throughout her career, Harlow has made it a point to educate the public on her condition. She told Vogue in September 2018, "Why is there a stigma around being different when we're all different?" Model Nyle DiMarco won "America's Next Top Model" in 2015, and has since become an activist for the deaf community. Nyle DiMarco took first place in Cycle 22 of "America's Next Top Model" in 2015, and he also appeared on (and won) "Dancing With The Stars." DiMarco is deaf, and a longtime activist for the deaf and hard of hearing community. He set up the Nyle DiMarco Foundation to help children around the world gain access to sign language education, which he says has helped his life and career greatly. DiMarco describes his deafness as "an asset and not a limitation." Former "Drag Race" contestant Carmen Carrera is an outspoken activist for the transgender community. Carmen Carrera appeared on season three of "RuPaul's Drag Race," and has since made a name for herself in the modeling world, signing with Wilhelmina, per her Instagram. She's also a transgender woman, and has been an outspoken advocate for the trans community throughout her career. Carrera was in the news in March 2018 for defending the trans community against RuPaul's alleged bigotry by saying, "What do people think drag is - for trans women or people in general - other than an expression of art? And why are you telling us 'no' just based on who we are?" Jillian Mercado is a model with muscular dystrophy, and she has made it her mission to diversify the fashion world. Jillian Mercado was diagnosed with muscular dystrophy at age 13. 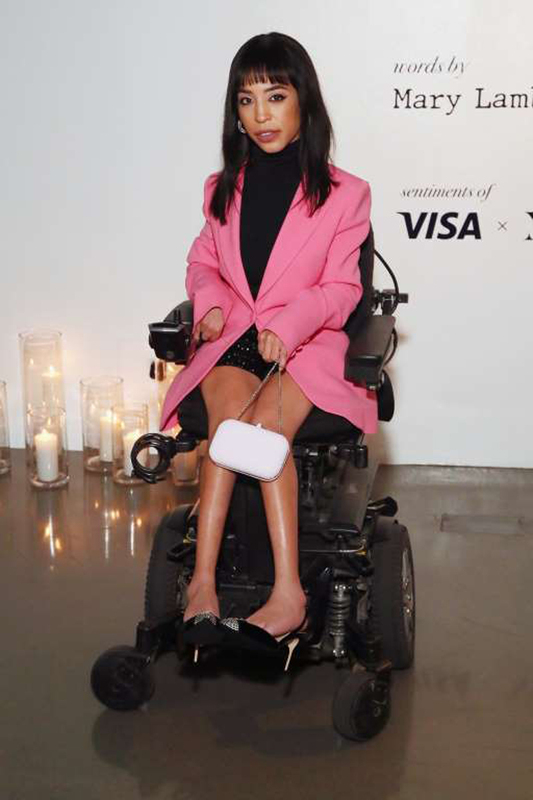 Growing up, she fantasized about being a part of the fashion industry in some way, but she didn't see models who looked like her on the runway, or models in wheelchairs in fashion magazines. So Mercado made it her mission to be the change, landing ads for big name brands like Diesel, Nordstrom, and Beyonce's Ivy Park. She told Glamour in 2018, "While I'm alive, I'm going to do everything that I can to make sure that the conversation is still going. You want to see yourself, especially if you're in a category that people call 'different' and 'weird.' You want someone to be like, 'Well, how about that person who made it?' I can be that person." 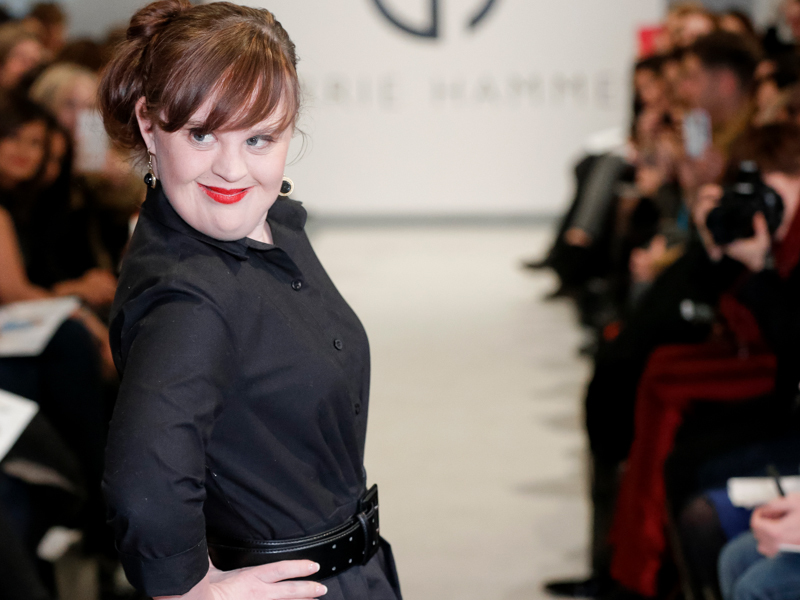 After starring in "American Horror Story," Jamie Brewer has made strides for the Down syndrome community. Jamie Brewer starred as Adelaide 'Addie' Langdon in "American Horror Story" in 2011, and has since worked on the show's various iterations while modeling and advocating for her community. Brewer has Down syndrome, a genetic disorder that causes developmental and intellectual delays. In 2015, she became the first model with Down syndrome to walk in New York Fashion Week. On her experience at the runway show, she told Today via PopSugar, "Young girls and even young women . . . [see me] and say, 'Hey, if she can do it, so can I. It's a true inspiration being a role model for any young women to [encourage them] in being who they are and showing who they are." This year, Slick Woods walked Rihanna's fashion show while pregnant, and reportedly went into labor right after. 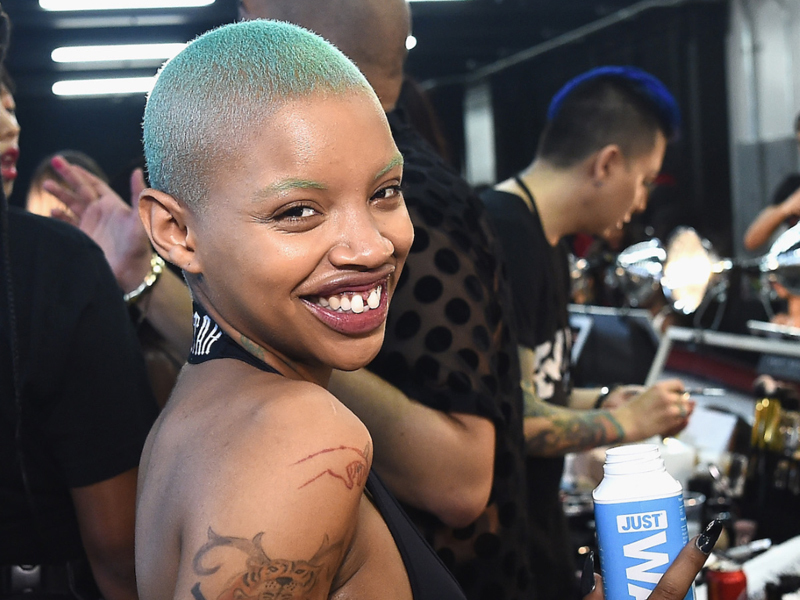 Known for her unusual beauty, Slick Woods is the face of Rihanna's Fenty Beauty makeup line. This year, she walked the runway in Rihanna's Savage x Fenty show at New York Fashion Week - while pregnant. The show was a celebration of diverse women with various body types, skin tones, and abilities, and made fashion history for this reason. Reportedly, Woods went into labor as soon as the show was over. Sophia Hadjipanteli rocks a thick unibrow, challenging women's relationship with facial hair. Instagram-famous model Sophia Hadjipanteli accidentally tinted her thick eyebrows black, and has since amassed quite a following for it. A student at the University of Maryland, the 21-year-old has embraced her unibrow - and challenges her critics who have strong opinions about women's facial hair. She told New York magazine, "When people say it's disgusting, it's like what is disgusting about hair on your face, or anywhere? ... 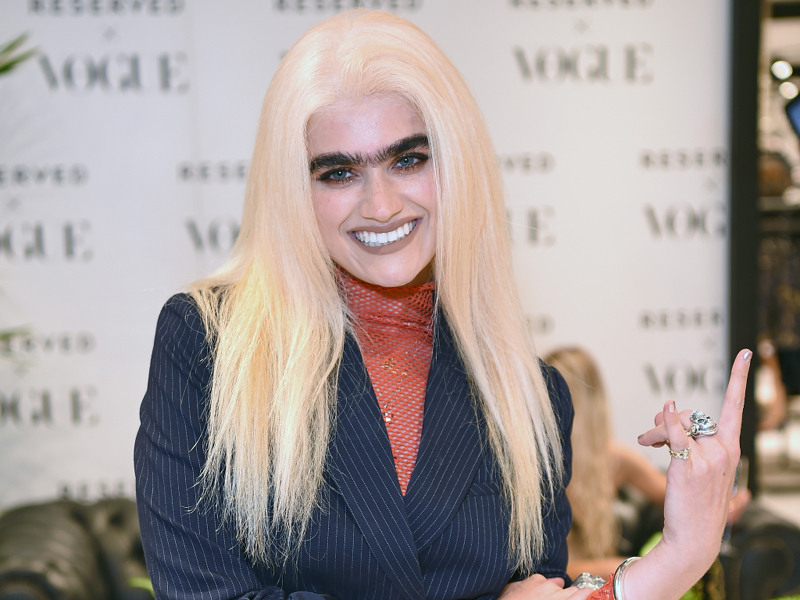 I really wanted to push people to look at me and to look at a unibrow that the've been conditioned to think was kind of weird or maybe something you should get rid of, for them to still say that I was beautiful." Diandra Forrest has albinism and sheds light on the rare skin condition. Albinism is a skin condition in which melanin is not produced, causing very little or no skin color on those affected. 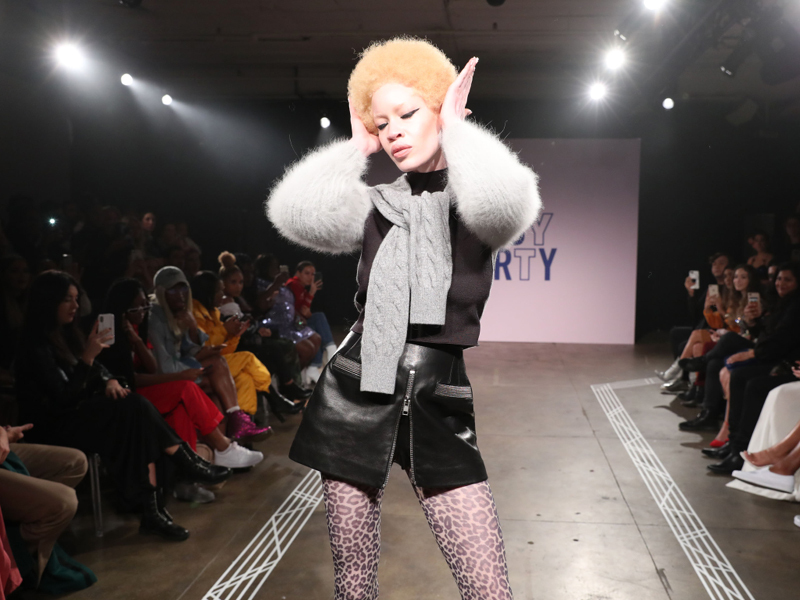 Model Diandra Forrest has the condition and is finding success in the fashion world. Though Forrest wasn't always confident in her looks, she has since made it a point to raise awareness for albinism. She spoke to Glamour about shifting beauty standards in the fashion industry, saying, "The more models there are with different looks, the more role models there will be. And I think that's great. With my albinism, I get so many messages from people who are happy. People are becoming a lot more open-minded and tolerant and understanding, and just, overall, better." Model Hari Nef was the first transgender woman to be signed to IMG Worldwide. 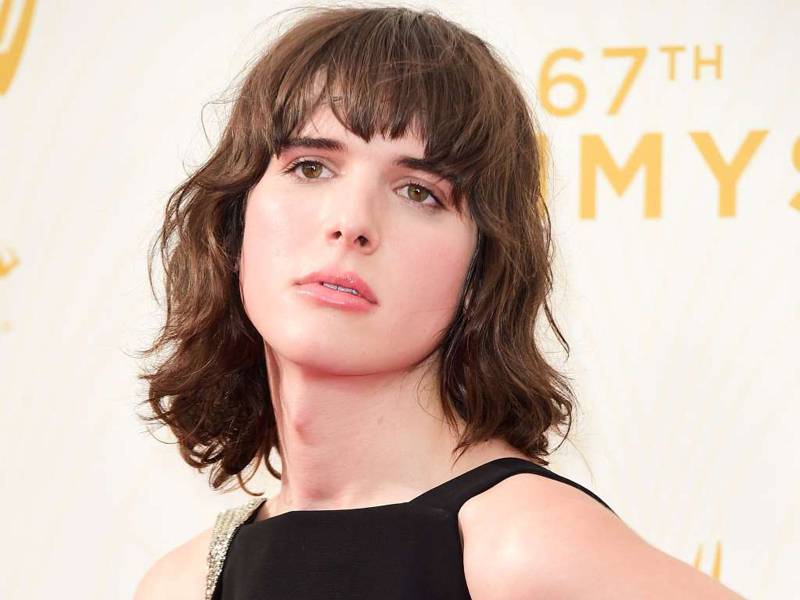 Transgender model and actress Hari Nef is only 22 years old and was recently signed to IMG Worldwide, making her the first trans woman to do so. She works alongside the likes of Gisele Bundchen and Gigi Hadid at the agency, and she walked several shows at this year's New York Fashion Week. Nef has received an outpouring of support for increasing visibility for the trans community. According to her profile in Vogue, she got an encouraging message on Tumblr from a young trans woman in Iraq saying, "It's so lonely being the only person in my town who is trans. I am so thankful that I follow you and other girls on this site ... maybe I'm living vicariously through you a bit. You're so brave."